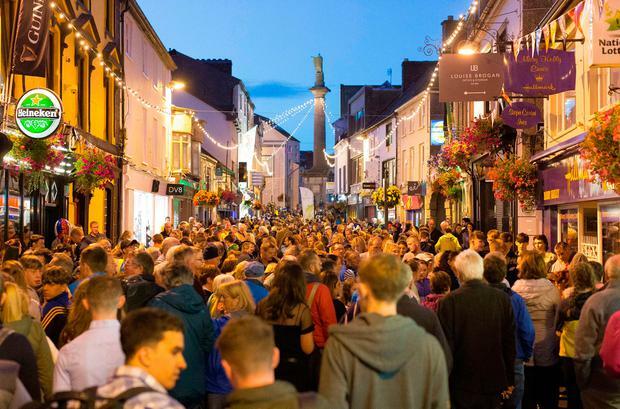 Senior gardaí are warning there is no overtime budget to pay for extra cover in the north-east at a time when 400,000 visitors will pour into the region for Fleadh Cheoil na hÉireann. Two of the country’s most experienced chief superintendents spoke about budget cuts affecting their ability to provide the policing service they want. Their concerns were echoed by Garda Representative Association (GRA) representatives in the Border region. Gardaí face being refused holidays or leave because there is no overtime budget to pay for cover. “The budget I have at the moment is extremely difficult to manage and it does not cover what is needed,” said Chief Superintendent Christy Mangan, of the Louth Garda division. “If we have a murder, I have to be able to call in a considerable number of gardaí to set the investigation up and a lot of that has to be done on overtime. For the Fleadh, which is being held in Drogheda from August 12-19, all Garda leave has been cancelled in the town. However, the budget to pay gardaí to work on their days off has yet to be finalised. “I will be endeavouring to finance what is needed for the Fleadh. It will be a great event and it is my job to make sure that it is properly policed,” he said. The budget problems are also being experienced in the neighbouring Border division of Cavan/Monaghan. Its chief superintendent, John O’Reilly, said that as things stand these cuts will have an impact in the coming months and possibly on the ability to respond at peak times. Former mayor of Drogheda Pio Smith said councillors were told gardaí will be drafted in from other areas. “The problem is if there is an overtime ban still in place how is that going to effect policing in the town when there will be significant numbers of people coming into the town?” he said. “An Garda Síochána is provided with an annual budget, which is reviewed on a continual basis to ensure we are working within that budget,” a statement from the press office said. “There will be sufficient resources to police the said festival and as in all major events such as this, a contribution is made by the organisers to the Garda budget,” it said of the Fleadh.